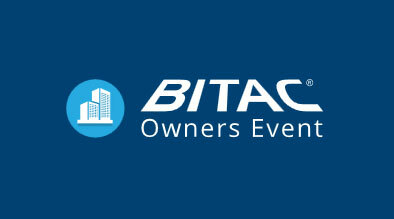 About: BITAC (Buyer Interactive Trade Alliance & Conference) is hosting an event for hotel company executives who are seeking solutions for their industry related problems. BITAC will put them face to face with the companies that offer services in line with their growth strategies; such as, franchise brands, finance, design, construction, emerging technology, HR, consultants, legal services, marketing, insurance, third party management services, and much more. Distinguished members of the hospitality industry are gathered for a panel discussion about the latest industry advancements and dilemmas. Julie Chapman will represent Milestone; as an industry veteran she brings experience as a hotelier and a technology provider to the panel. Julie will be able to provide trends that affect the bottom line. In this session Milestone unveils their latest software, Unalytix, to the BITAC community. Unalytix is Milestone’s Digital Marketing and Distribution Channel Analytics Platform. Unalytix allows 24/7 access to your data organized from different sources; Website, local listings, social media, reviews, paid search. Unalytix empowers users with intuitive dashboards, instant formatted reports, and enables managers to gain insights about their data. This session will allow hospitality leaders an insider view of the technology built to decrease their reporting headaches and increase their understanding of performance. Unalytix integrates a wide range of data sources such as brand contribution reports, booking engines, Google Analytics, and Online Travel Agency API’s to deliver actionable reporting and insights. CEOs, General Managers and Revenue Managers can manage ROI and channel contribution performance across brand.com, independent site, online travel agencies, global distribution systems and Voice, while Chief Marketing Officers, Chief Digital Officers, and eCommerce Managers can use Marketing Tools and Analytics to optimize direct online channels. Take control of the disperse reporting, manage your company’s marketing effortlessly with a single view dashboard, move from insights to action, and win over your leads and competition. If you would like personalized product demonstrations during Bitac please email us to arrange a meeting, we are looking forward to meeting you all.